Welcome to Bell Tree Services, providing comprehensive tree removal services to customers in Waterbury, Connecticut and the surrounding areas. With over 25 years of experience in the tree service industry, we have the equipment and training to safely removal trees on your property. Our friendly teams of tree removal experts are available for emergency tree removal to provide you and your home or business with safe, prompt tree removal when you need it the most. Tree removal services may be required for many different reasons including eliminating dead or dying trees as well as tree that poses a danger to nearby people and property. Tree removals can also be provided to areas that have become overcrowded and can be used to eliminate the need for plants to compete for light and space. In many cases, trees are often removed to allow for new construction, additions to existing property and to provide clearance areas around homes and other structures. 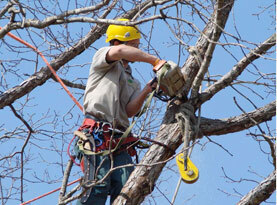 Tree removal can be one of the most hazardous services performed by a tree service company. Our technicians are highly skilled and provided with the professional training needed to work in confined spaces around structures, utility lines and other areas. We are licensed, bonded and insured to provide you with a professional, safe tree removal service along with the peace of mind of knowing that you are completely protected. At Bell Tree Services, our tree removal technicians will work safely and efficiently to remove trees from your property. Our services include a thorough clean-up of all of the debris and our employees strive to consistently minimize the impact to the surrounding area. At Bell Tree Services, our experts have performed literally thousands of tree branch & limb removal services in the Connecticut area. Our experienced crews are efficient and even more importantly our employee’s practice safe tree branch & tree limb removal services. Our equipment is the best on the market and our employees are trained to tackle even the largest branch and limb removal jobs. Contact us today for schedule an appointment! At Bell Tree Services, our experienced and knowledgeable technicians and tree experts are available 24/7 for emergency tree removal. Our employees are on stand-by and will arrive promptly to access your property and provide a recommendation to safely remove damaged trees on your property. At Bell Tree Services, our friendly and experienced teams of tree professionals are available for immediate assistance, 365 days of the year. For the safety of you and your family, our team of professionals and your property is paramount. We guarantee that we will provide the utmost care during the entire process of removing trees from your property. 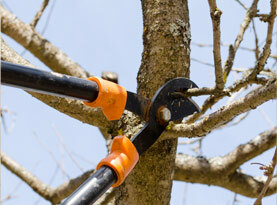 Our employees are highly trained to remove trees in the safest and most cost effective manner possible. 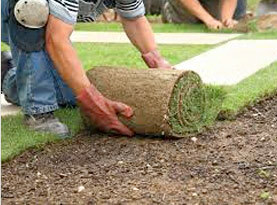 Our goal is to minimize the impact on the surrounding environment. 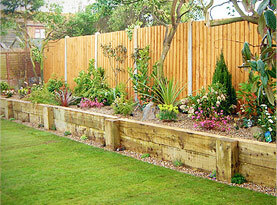 We never cut corners when we prepare and remove trees from your property. Contact us today and speak with one of our friendly tree experts and schedule your appointment for a comprehensive tree removal assessment and price quote!